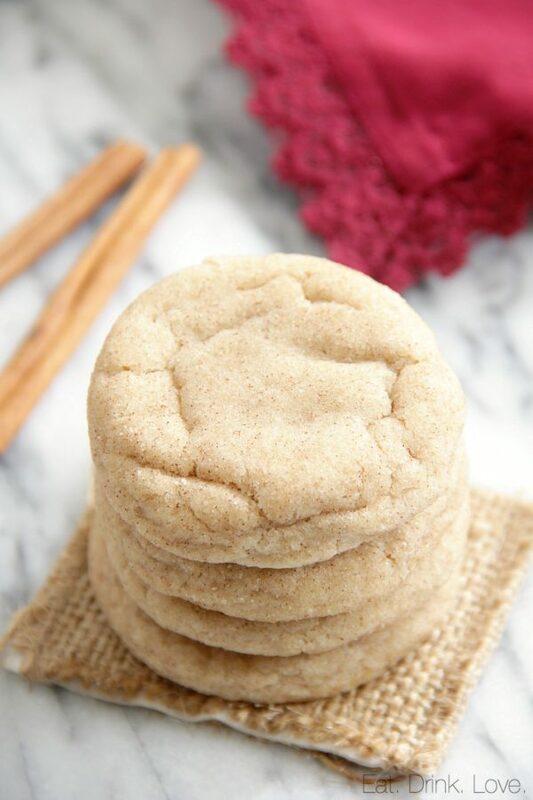 Soft and Chewy Snickerdoodles - Eat. Drink. Love. It’s cookie season and if you are still considering what to cookies to make to add to your cookie tray, snickerdoodles are always a good choice! 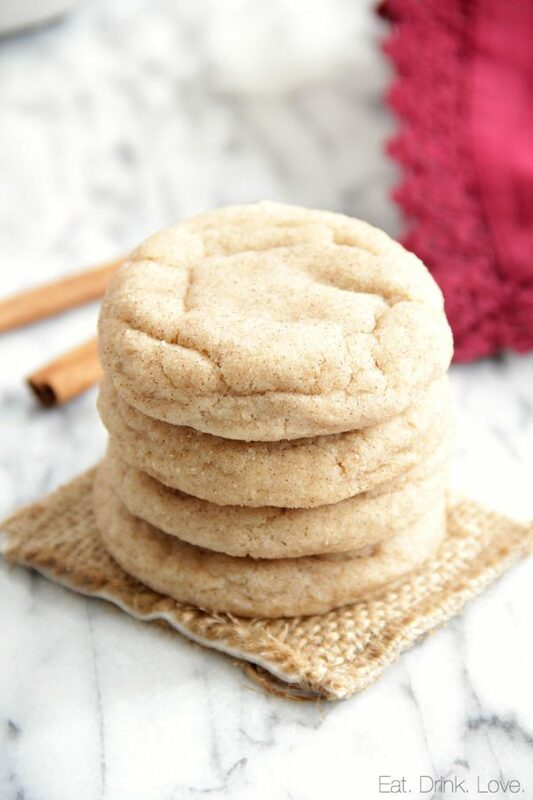 Snickerdoodles are simple cookies and may not seem all that impressive, but they are indeed a group favorite and they can be tricky to get right! 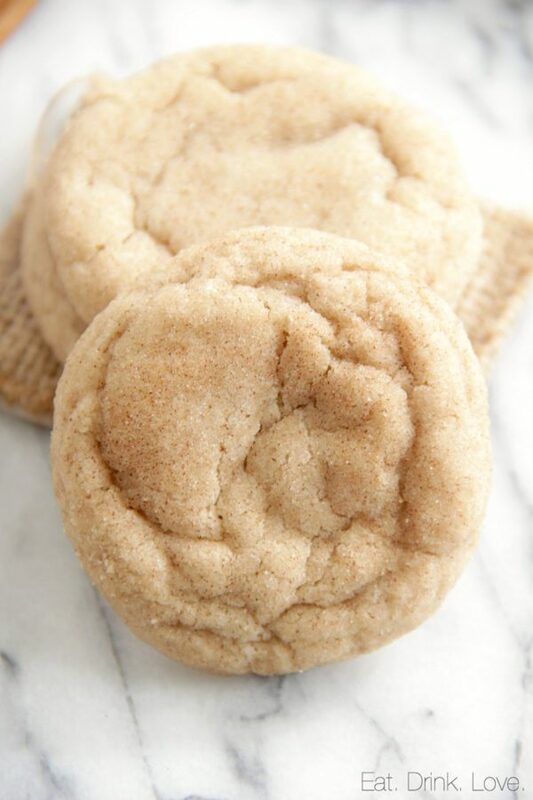 I like my snickerdoodles just like I prefer, well, all my cookies…thick, soft, and chewy. I’m just not a fan of really thin crispy cookies. No, I say! 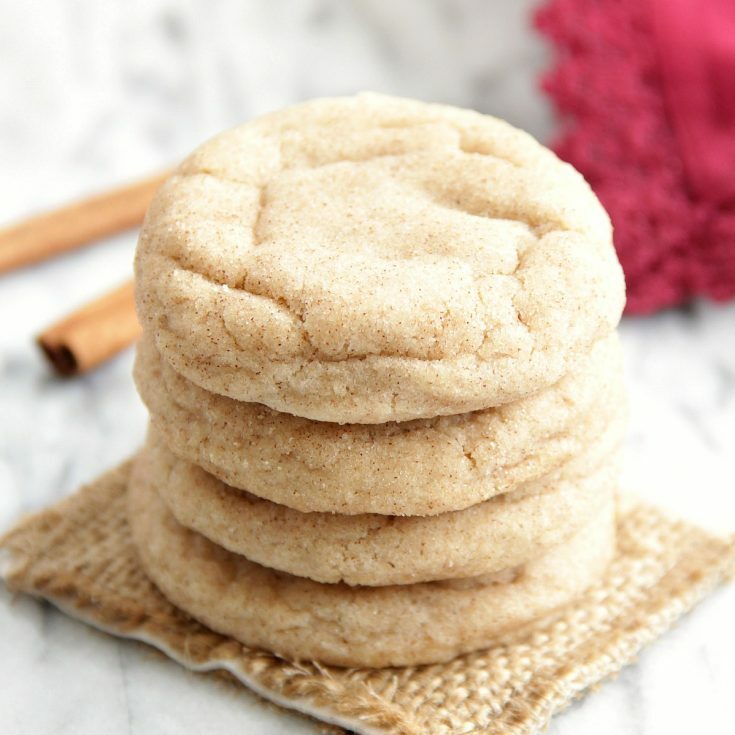 In my humble opinion though, these snickerdoodles are everything a snickerdoodle should be. They have that classic tangy flavor thanks to the cream of tartar, an important ingredient in traditional snickerdoodle cookies. To give the cookies their thickness, I use a bit more flour in this recipe. The other secret to soft, pillowy snickerdoodles is the bake time. I bake mine for about 10 minutes, this is just enough time for the cookie to bake through and maintain that doughy texture. If you overbake them, they will have a crispier texture. You do not have to chill the dough. I did not chill my dough when baking the batch photographed in this post, but you can chill it if needed and you may end up with a slightly thicker cookie, which is never a bad thing! Of course, before baking, you will roll them in cinnamon sugar, and I also add a bit of cinnamon to the dough. I love these cookies because they are so simple, but also so dreamy. And even better, they are so easy to make! I had them ready for the oven in about 20 minutes. I should also add that these cookies freeze really well so you can make them in advance until you are ready to serve them! 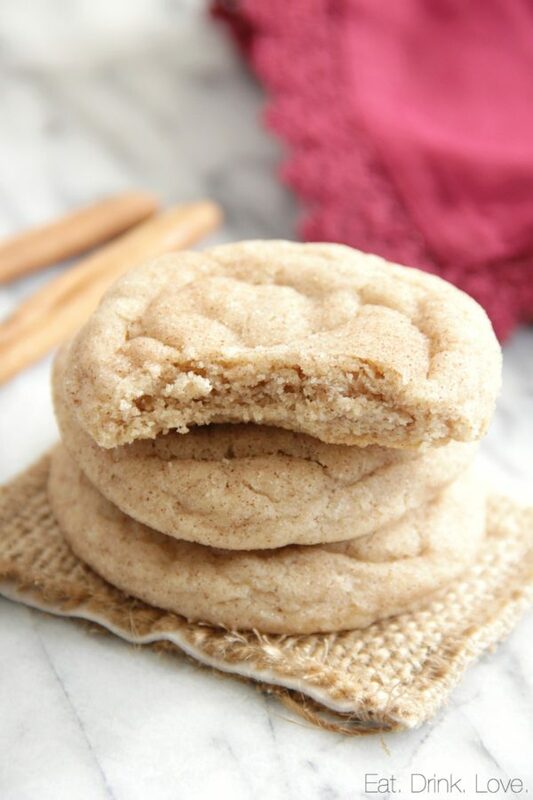 These homemade Snickerdoodle cookies are incredibly soft and chewy and chewy and coated in cinnamon sugar! Perfect for the holidays or any time of year! Preheat oven to 350 degrees F. Line a large cookie sheet with a silicone baking mat or parchment paper and set aside. In a large mixing bowl, cream together the softened butter and sugar with an electric mixer until combined. Then beat in the eggs and vanilla extract. Add the flour, cream of tartar, baking soda, cinnamon, and salt to the bowl. Mix together with the wet ingredients until well-combined. In a small shallow bowl, stir together the sugar and cinnamon for the topping. Scoop between 2-3 tablespoons of the dough and with clean hands, roll into balls and then dip into the cinnamon sugar mixture until completely coated. Place onto cookie sheet and repeat with remaining dough. Bake cookies for approximately 10-11 minutes until the bottoms just begin to turn lightly golden. Let cool for 2 minutes and then carefully transfer to a cooling rack to cool completely. Store cookies in an airtight container or freeze.